Sozopol met us with clouds, strong wind and waves. Last week weather in Bulgaria was cool and cloudy, not typical for Bulgaria, where August is the hottest month in the year, with temperatures reaching 35-38є Celsius. Despite the bad weather, Sozopol is over-crowded as usual, but this year seems that there are even more people. It's difficult to find place to park our car. Our hotel is on the main street of the new town, where it's absolutely impossible to leave the vehicle. Even in the smallest streets it's difficult to leave the car, it seems that there are many people like us... Finally we found a place. People say that long time ago Sozopol has been a quiet place where people mostly did fishing for their living. Has been a favorite place for artists, musicians and writers, where they stopped for some time to relax and concentrate on their arts. Now the things are changed. Sozopol is a romantic place, but got more commercial in the good and bad way, with more tourist infrastructure, restaurants and new hotels. Today Sozopol attracts mostly young people and young families from Bulgaria and Europe. Local people here rely mostly on those 4 or 5 months during the active season to make their living. Almost everybody here offers rooms in his own house for people on low budget, who do not mind the basic conditions with no private WC and shower, no TV and poor security. I would recommend you choose a hotel, to have all needed facilities and to be sure that thefts from the rooms (something usual for the private rooms) will be minimized. 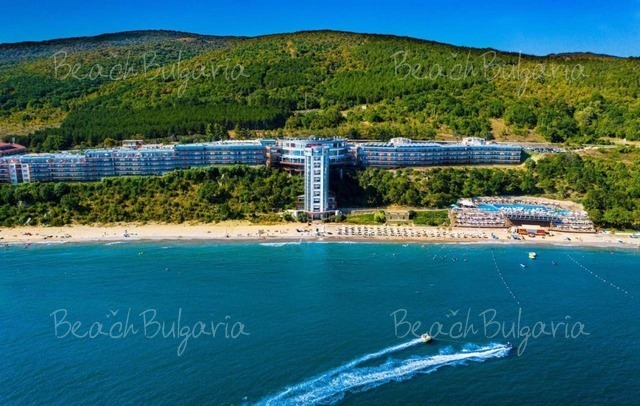 Now the private initiative in Sozopol has developed a good selection of different hotels, so people can find a suitable place according to their budget and their requirements. Because of the bad weather that day, there was nobody on the beach, and we are spending our time walking around the Old town and it's interesting architecture. Most of the old houses there are National monuments and the owners are not allowed to make general re-constructions or change their design. The old town of Sozopol is placed on high rocks, so many small restaurants are build everywhere around. People can enjoy the view to the Sea while having dinner. We stopped in few of those restaurants and I found the atmosphere and food good, but the prices where little higher than the restaurants in the New town. Anyway, people coming from the Western countries will find the prices quite reasonable and I'm sure that they will be happy with their choice. More about this, please read here... As for the night life of Sozopol, there is one good disco called Teodora, few other bars you can find on the Port of Sozopol and in the old town. On the next morning the weather improved and finally the Sun was shining. We got up quite late, so when we went to the beach (the Central beach of Sozopol) there were too many people there, so we could hardly find where to stay. The Central beach is quite narrow, so gets over-crowded very easily. Therefore we decided to go to the other beach of Sozopol, called Harmani. It is located in the New town, around 10 minutes walking from the Old town. This beach is bigger, so even there were also many people, finding a place was not a problem. The temperature got higher during the day, but still far from the usual high temperatures for Bulgaria. The water was like 25є Celsius. The waves were big, so the bay watch life-guards were not allowing people to go swimming far from the beach. Things improved next days. We were sunbathing around 5 hours every day (1-6 pm). Make sure you have a good cream to prevent your skin from the hard Sun. If you get hungry while on the beach, you can have a lunch or buy refreshments from the small restaurants located around the beaches of Sozopol. On the next day we went to the beach called Gold Fish, approx. 3 km north of Sozopol. There is a wind-surfing school and rental there. One of my friends learned to do surfing for just 1 hour of private tuition. This could be a good alternative to those who do not like to lie under the sun. To reach Gold Fish you will need to have a car, or hire a taxi (not expensive). More for the beaches of Sozopol, please read here... Some quick facts about Sozopol: - People speaking Russian language will not have problems in Sozopol, some people speak English and German language. In the hotels English, Russian and German are widely spoken. - Some restaurants charge 10 % service, which is not included in the price of the food. - There are 2 open-air cinemas in Sozopol, where you can see some new movie (with subtitles in Bulgarian) for just 1.50 $ per person. - The best place where you can use Internet is in the main post office in the new town, only 0.50 $ per hour! - If you will be using a taxi, be sure to agree the price first. - The prices in the shops on the main street are high. You can find normal prices in the shops that are located in the small streets away from the centre. - When exchanging money we recommend you always do it in the bank offices. Some of the exchange bureaus on the street may cheat. Never change money on the streets with people offering their services. - Cheap music CD's (cost 4 $ for one cd) were still available this year. Lots of small shops on the streets. Sozopol' is a remarkable city! It is simple fairy-tale! What about the nightlife and pubs? What are the "must ones" this summer? Going to Sozopol first week of the August. Just got back from Paradise bay in Sozopol.The weather was great. The area is getting better every year with work and improvements taking place. Food was excellent. With it's investment and ontinued improvements and plans for a water park and golf course will make this a top resort to visit. Well worth a visit. Just back from a week in Sozopol. 3RD Visist this year. Noticing the changes taking place which is good with the area. Very busy in both old town and new town with the arts festival taking place. Price of exchange is not as good as it should be exchange rates getting 236 lev to the pound. Best place to change is in towns or better rates in Bourgas.Avoid changeing at airport rates very poor plus they charge commission! Nice to see the airport has improved as it was not coping well with the number of visitors as this keeps growing. Still need to get the locals to understand customer service in the restraunts as your meals do never come together? Still lot's of work going on with development. Would like to see development company's and local Major make more efforts in keeping the area clean and tidy. I am very concerned in which the local people have very little and low regards for animal welfare as the dogs are poorly treated or disposed of. Let's hope things improve on that. Need to get confirmation of golf courses planned? and Marina development. Update . We have just got back from our appartement whcih we visit twice a year. This year has seen a new major, appointed to Sozopol with some new ideas in investing and developing the area? On our most recent visit we noticed a lot more building work going on south of sozopol. This needs to be completed and roads & footpaths need to be done. ( to much building dust) Overall the area is slowing developing into what should be one of the best spots along the coast. Talks of devloping more toursim facalities such as planned golf courses , water parks. This will only improve and enhance the area and bring in the tourisim which is needed. The investemnt shown in other resotrs have showed how good it is for the area. (WATERPARK Nessebar). The resorts need to look at getting opened early, than June as a lot of holiday people where present and not all roads & areas where open. Prices have slightly increased since joining EU some not as good value as it has been in previous years? If the local Major and devlopers get invloved and develop and deliver what propsals they say then the area can and only will get better. A little jewel in there crown if they get it right. Well worth a visit. Overall very nice place to visist and unwind. Area needs to be tidied up. Local developers and council need to help invest and help maintain the area. Nite clubs are best avoided not user friendly belong to the local groups staff take advantage of you with unfair pricing and disrespect. Better use the hotel clubs for enjoyment and safety unless in a group. Second visit to sozopol. September 2007. Just got back from a weeks holiday.We have an appartment in the new town south. Overall the area has been developing well with some very nice ,interesting places to visit. The food and hotels are much improved. The only concern that in some areas of the beach and street were to untidy for my liking? I am sure that they will sort this out as it gives a poor impression to what is a very nice resort. It is place that you can go and relax & unwind. Still i belive thety are still to develop the area with more investemnt for the people that visit. The language barrier is a problem but you do your best to communicate.Local people welcome you as a visitor and know it is good for the future development. Well worth a visit. Great value for money. In Sozopol I was this month,August 2007.It was very a very intersting place.Many places to go, folk music,tasty cakes and foods,fresh air,....So everything was amazing.I' like to go again the next year. E viva Bulgaria . 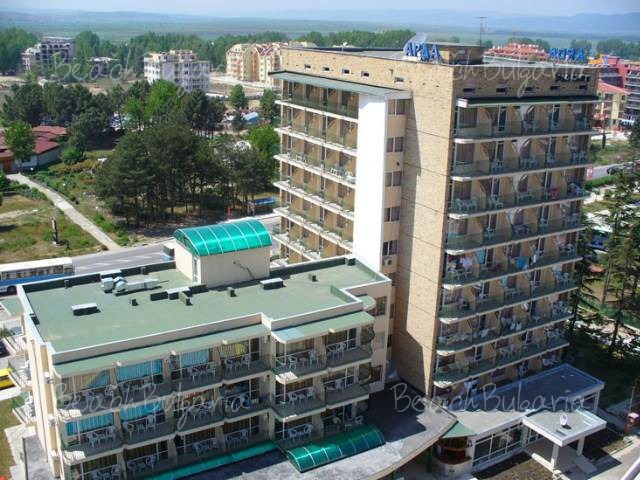 Please, post a comment on Sozopol beach resort.